Our monthly meetings are open to anyone who would like to attend and learn more about the Coalition. See our calendar page for meeting dates and locations. Any person or organization may also join our mailing list. To do so, contact info@westsideshelter.org, provide your name, organization and email address and ask to be added to the email list. A member organization may use the Coalition logo on its website and promotional materials to communicate the partnership and support it receives from other member agencies. Though the individual missions of our member organizations may vary, we share many common interests in ending hunger and homelessness. 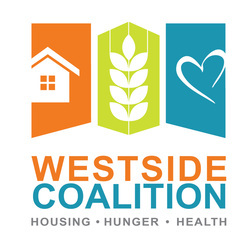 As the largest and oldest Coalition in Los Angeles County working on these issues, the Westside Coalition is a respected leader in advocacy that affects public policy. Our feedback, support and endorsement are often sought by elected officials, their staffs and funders on policy issues. We are well-recognized as the collective voice of advocacy for homeless individuals and families on the Westside. WC has a voice in the community that is well-known and well-respected. We use this voice to educate the public about the issues of hunger and homelessness, to inspire people in the community to be volunteers and advocates for homeless services and to let people know about the work of our member agencies. Westside Coalition has ties with several local media outlets, including City TV and the Santa Monica Mirror. Membership in WSHC provides opportunities for publicity, which in turn can help when it’s time to apply for grant funding, generate donations, or garner public support for a new program. Members may reserve tables at our educational events, such as the Hunger & Homelessness Awareness Concert and Volunteer Fair. The Coalition facilitates communication between our agencies’ decision makers as well as their line staff in an effort to avoid the duplication of services and to efficiently share common resources. Our bi-annual Meet-and-Greet events for member agencies present the opportunity for line staff to meet each other and learn about other agencies’ services. We also provide speakers and training opportunities for staff. Social service agencies are provided with several contacts in the local faith community who are also members and vice versa. This has proven to produce valuable connections for both parties. 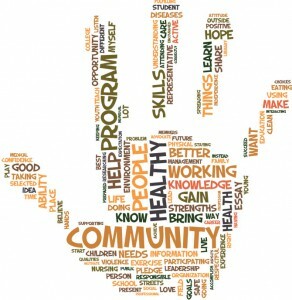 The Faith Community seeks opportunities to volunteer and donate while the social service community seeks volunteers and donations. Our Faith Committee organizes events, such as Project Homeless Connect in order to facilitate this exchange. Members can use our expansive mailing list and our website to publicize their organization’s events, news, job postings, requests for donations, etc. Members receive discount prices for our two main fundraising and public education events, the Celebrating Success Breakfast and the SuperBowl-A-Thon. Members elect the WSHC Board and have a vote in the Coalition’s business operations. If you or your organization is interested in joining the Westside Coalition, please fill out the form below to request a membership packet. Feel free to contact our office at (310) 314-0071 with any membership questions.